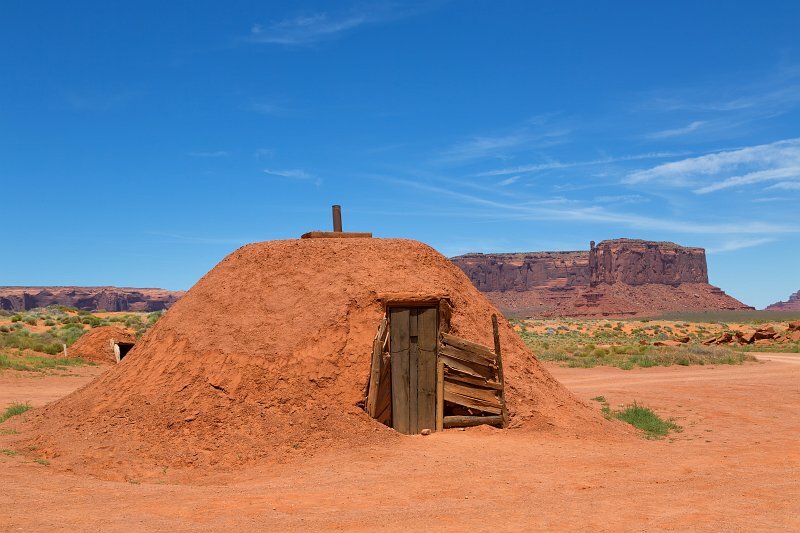 A hogan is the traditional dwelling of the Navajo people. A hogan can be round, cone-shaped, multi-sided, or square; with or without internal posts; timber or stone walls and packed with earth in varying amounts or a bark roof for a summer house, with the door facing east to welcome the rising sun for good wealth and fortune. The cone shaped home is called a Male Hogan, used as a temporary home because it can be built quickly and taken apart to be used at another location. The round shaped home is a Female Hogan, used as a permanent home and can accommodate more people.